Door handles can often add the final finishing touch to your home, so it’s important to pick the perfect handle for your next project. We’ve outlined the different door handles available to help you decide which is best, from door knobs and handles to cabinet pulls and thumb turns. Lever on back plate handles are handles that are supplied with a backplate. 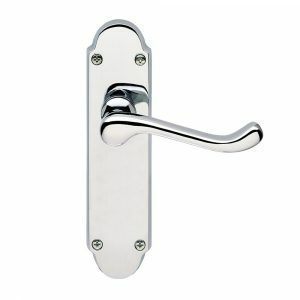 They are a traditional style handle, and can be supplied just as a lever with backplate, with a lever and a lock, or with just a thumb turn, most commonly used for bathrooms. The backplate provides an opportunity to choose from a range of styles, from the classic shape, to square, curved or even fleur de lys styled backplates for more traditional buildings. Lever on rose door handles are levers that are supplied with a square or circular rose, surrounding the point at which the handle connects to the door, ensuring the fixings are hidden from view to add a smooth finish to the door. 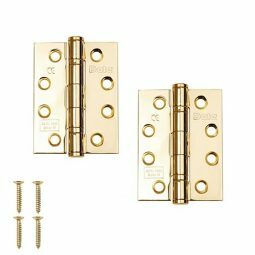 They are much smaller than backplates, and do not come with locks, but if needed locks can be fixed separately and covered with escutcheons to create a smooth finish. 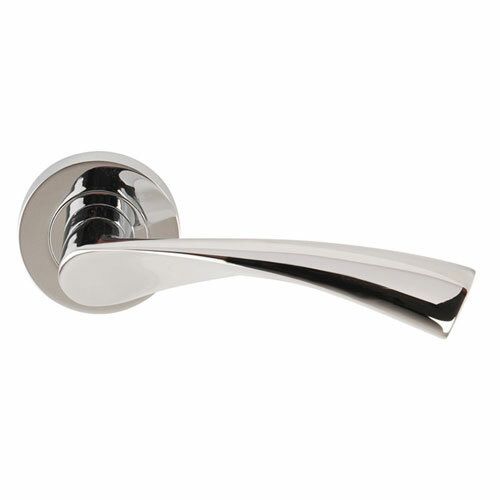 The lever on rose handles come in a range of styles and finishes to suit your door, from simple stainless steel levers to polished chrome and two tone finishes, and from linear handles to winged, curved and square. 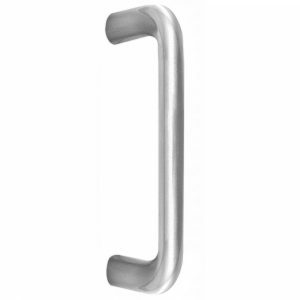 D pull handles are a great solution to doors that do not require latches, and open inwards. 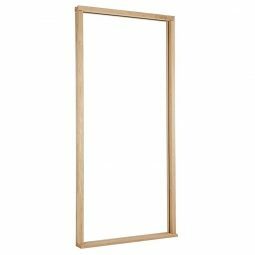 Fitted externally onto the door, they come in a wide range of styles, and are often chosen for their simplicity and ease of use. Choose from curved D handles, straight edge handles and T handles which have extensions at each end to create a more linear appeal. 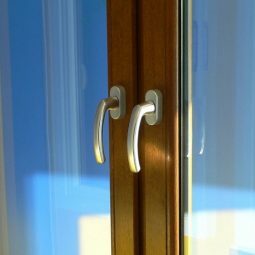 Flush handles are most commonly used on sliding doors, and are fitted into the door itself to create a flush finish, allowing doors to slide into the cavity without any obstruction. 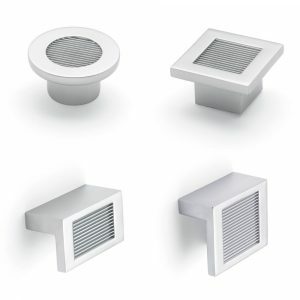 They come in a range of styles and sizes, from small finger pulls, to rectangles, squares and circular designs. 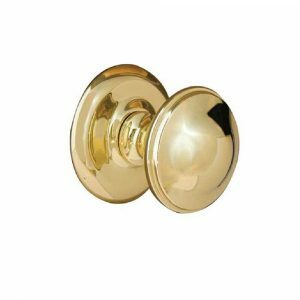 Door knobs have been in use for hundreds of years, and are typically spherical shaped. They can be used to open latches by turning, and can be paired with locks for security if required. They come in a range of styles and designs, such as antique cast iron door knobs for use in traditional and period buildings, to decorative and more contemporary stainless steel and polished chrome door knobs. As well as traditional door knobs, you can also purchase centre door knobs, which are more for decorative purposes, adding a feature onto your front door. Thumb turns are most commonly used in bathrooms. Simply operated, the thumb turn moves the bolt into and out of the lock. Thumb turns are used for privacy, not security, because thumb turns can generally be operated with a coin turn from the outside in case of emergency. Cup handles are the perfect handle for drawers, kitchen cabinets and more because of their ease of grip, particularly on heavier furniture. They come in a classic curved semi circle shape, in a range of colours and finishes to suit your home or piece of furniture. 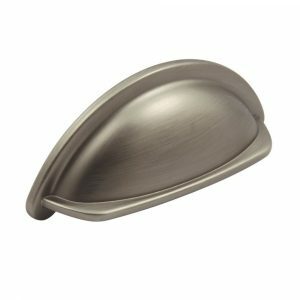 Cabinet pull handles come in a range of sizes, shapes and designs to add the finishing touches to your furniture. Pull handles for cabinets can be minimalistic, in curved or linear designs, whilst more traditional pull handles include classic D handles and cast iron handles. Door knobs can also be used for your cupboard doors and cabinets, to update a room or add finishing touches to a piece of furniture. They come in a range of styles, shapes and colours to suit your home, from contemporary square knobs to traditional brass and wooden circular knobs. Whichever handle you’re looking for, if you have any questions just give us a call on 01752 422 501 or use our live chat in the bottom right hand corner.